﻿ SAS Management Inc.Project Management Professional (PMP)® - SAS Management Inc.
An internationally-recognized certification and dubbed as “the gold standard” in project management, it is the most sought-after certification from the Project Management Institute (PMI). 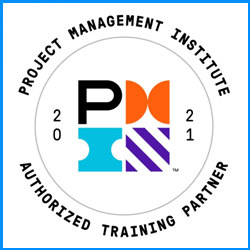 Project Management Professional (PMP)® equips you with the skill, knowledge and competency to direct projects. What is Project Management Professional (PMP)®? Initiating - the first phase in the Project Management Life Cycle when starting up a new project. Objectives, scope, purpose and deliverables to be produced are all defined in this particular phase. Planning – the second phase which involves creating a set of plans which should guide the team in the next phases. Executing – The phase where the deliverables are carried out. Closing – The last phase which usually represents a completed project. Evaluation occurs at this phase, identifying strengths and weaknesses in the completed project. Project Management Institute, A Guide to the Project Management Body of Knowledge, (PMBOK® Guide) – Sixth Edition, Project Management Institute Inc., 2013.